In the forestry reactivating program recommended by the Forestry Agency in Japan, the effective use of forest resources has been demanded in order to stimulate local economic activities. However, due to the large number of small-scale forest owners, the efficiency of forest management is difficult to meet. This symposium is to gather expertises from theoretical to practical aspects and from the outside to inside of Japan for discussing and seeking some solution to overcome the problems incurred in Japanese forestry sector. 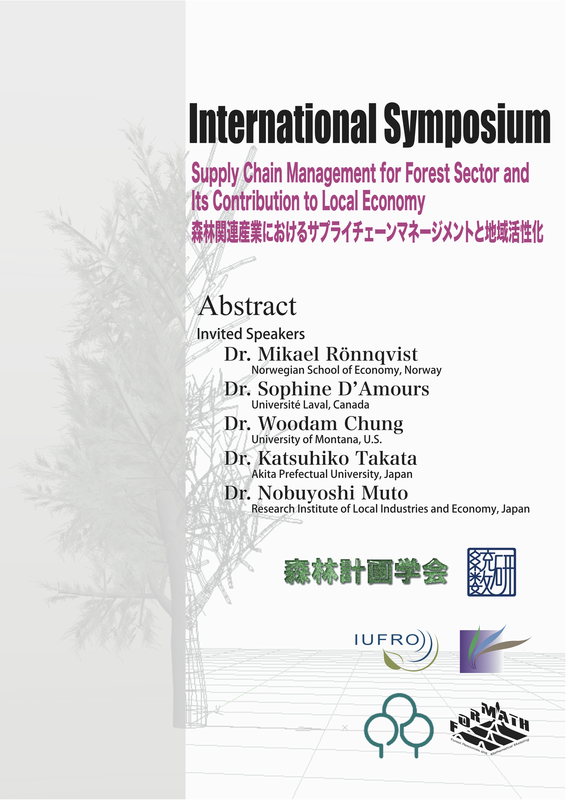 This symposium is to gather expertises from theoretical to practical aspects and from the outside to inside of Japan for discussing and seeking some solution to overcome the problems incurred in Japanese forestry sector through the supply change management.